When will be Tales from the Coast with Robson Green next episode air date? Is Tales from the Coast with Robson Green renewed or cancelled? Where to countdown Tales from the Coast with Robson Green air dates? Is Tales from the Coast with Robson Green worth watching? The UK has one of the most varied coastal landscapes in the world, from sweeping sands and rugged cliffs, to mudflats and spits. It's home to colourful seaside towns and historic fishing villages, and in this new series, Tales from the Coast, Robson Green travels along some of its most fascinating stretches of coastline, to discover just what it is about the shoreline that continues to enthral and inspire.In each of the four episodes, Robson will travel along a different stretch of coast, from the wild and remote Outer Hebrides and the unspoiled beaches of North Devon, to the remote islands of Pembrokeshire and the varied coastal landscape of Essex and Suffolk.On his travels, Robson will take on exciting new experiences and meet people who share his passion for the British coast. He'll go wild camping in the Outer Hebrides, climb dramatic sea cliffs in the Bristol Channel, explore the hidden coves of South-West Wales and visit some of Britain's most wild and remote islands. He even unwittingly finds himself involved in a dramatic cliff top rescue - and makes the evening news.During his journey, he hopes to find out how our coastline has influenced both the way we work and the way we spend our holidays, and how being an island nation has shaped the Britain we know today. In the first episode, Robson travels to North Devon, a 90-mile stretch of coast that holds fond childhood memories for him. And it's here that Robson starts his adventures by visiting the popular seaside resort of Ilfracombe, a town that stills attracts thousands of visitors every summer to experience the classic British day out by the sea. However, back then they could only be accessed by boat, so in the 1820s, hundreds of Welsh miners were given the task of carving a network of tunnels through the cliffs, to open the pools up to the public. There, Robson also discovers something called the ‘bathing machine', a Victorian invention designed to avoid any embarrassing swimwear mishaps whilst changing. Robson also visits the island of Lundy, lying 12-miles off the North Devon coast, and one of the UK's most wild and unspoiled islands, where nature has been left to flourish. Within its one-and-a-half square miles are dramatic cliffs, acres of farmland and a spectacular array of wildlife, and just getting to Lundy is an adventure in itself. The Bristol Channel is notorious for its choppy waters and Robson struggles to find his sea legs. On Lundy, the locals tell Robson that if he wants to get the ultimate view of its glorious coastline he will need to climb the sea cliff on the west side of the island known as The Devil's Slide, the largest slab of granite in Europe, at 400-feet in length. A trussed-up Robson sets off on his white-knuckle climb, made more difficult by the fact that the granite has few nooks or crannies to hold onto, meaning Robson must to rely on his feet to create the necessary friction. In episode two, Robson visits one of the most exciting and dramatic stretches of coastline in Britain as he explores the hidden coves and remote islands of Pembrokeshire in South West Wales, home to the UK's only entirely coastal National Park. In episode three, Robson travels to the wild and remote coastline of the Outer Hebrides in North-West Scotland, and discovers first-hand how an unpredictable climate and often volatile weather has given these group of islands an identity and way of life all of their own. In episode four, the final of the series, Robson visits Essex and Suffolk for a journey along one of the most varied coastal landscapes in Britain, travelling 100-miles from the Thames Estuary in Essex to Southwold in Suffolk. 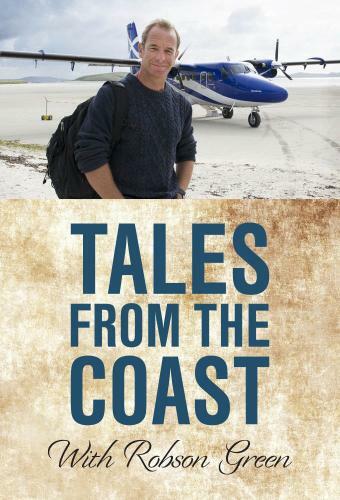 Tales from the Coast with Robson Green next episode air date provides TVMaze for you. EpisoDate.com is your TV show guide to Countdown Tales from the Coast with Robson Green Episode Air Dates and to stay in touch with Tales from the Coast with Robson Green next episode Air Date and your others favorite TV Shows. Add the shows you like to a "Watchlist" and let the site take it from there.